We've been following Ed Gray's work for a few years now. 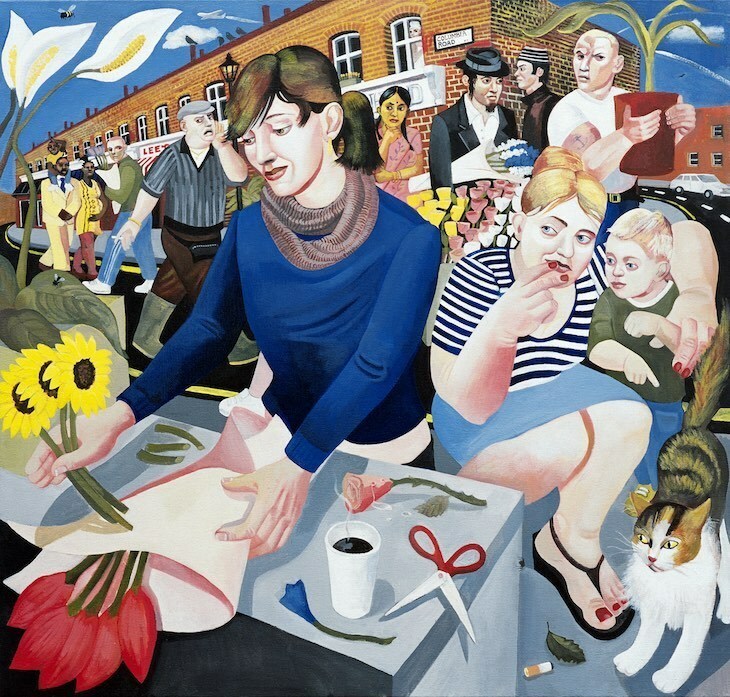 We love his London scenes, full of unique characters and bustling activity. 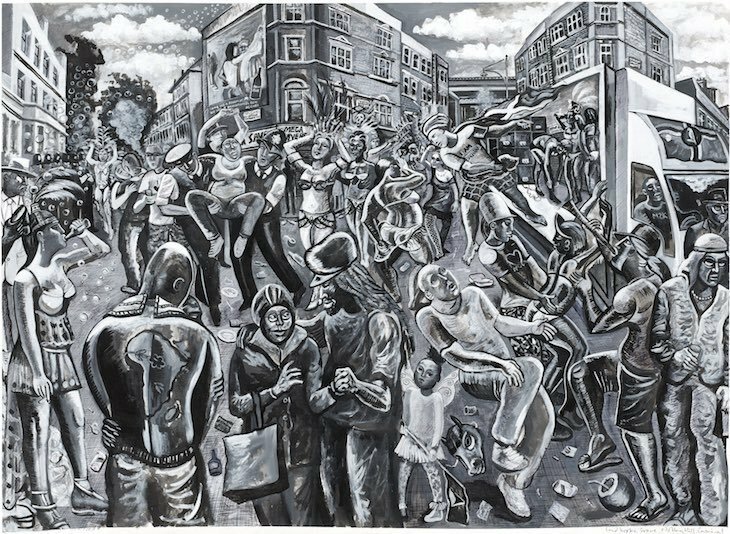 Gray's works is like a modern day interpretation of Hogarth or Bruegel. So we're excited to see that he'll have some new works on display at Rich Mix. 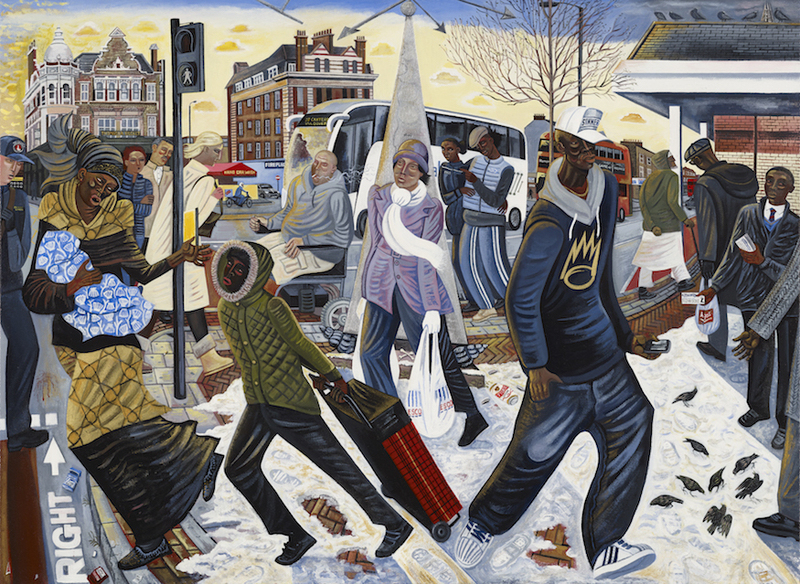 History is a source of inspiration and one work of characters on Old Kent Road even references Thomas a Becket in its title. There will be plenty of his previous series of works on display. We look forward to trying to decipher the many subtleties and personalities in his latest series of works. Londonessence: Dust and Shadows is on at Rich Mix, 35-47 Bethnal Green Road, E1 6LA. Entrance is free; the artist will be conducting a talk on 9 July at 11am. The talk is free but booking is required.